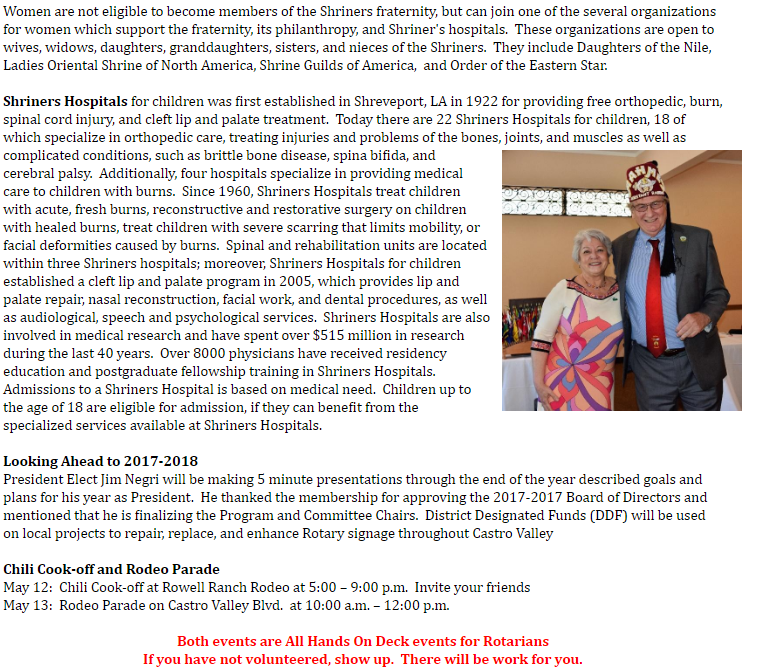 Castro Valley Rotarian Al West, Oriental Guide Of AAHMES Shriners of Livermore, was the day’s speaker. 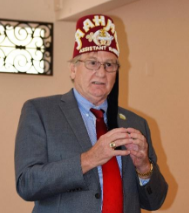 Al described the history of Shriners, their relationship to the Masons, and the purpose and function of Shriners. 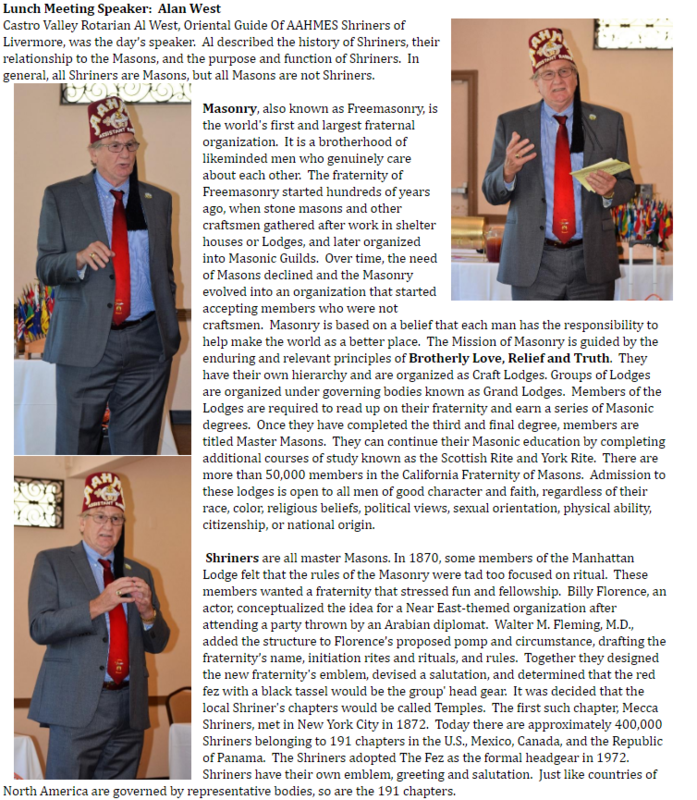 In general, all Shriners are Masons, but all Masons are not Shriners.